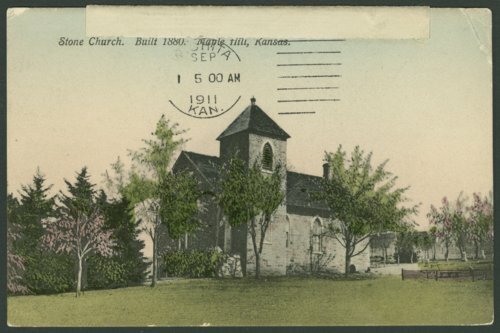 A postcard photograph showing the Congregational Church in Maple Hill, Kansas. The stone church was built in 1880. The postcard was sent to Miss E. Sprague in Wichita, Kansas, from Mary C. Solandt in Maple Hill, Kansas.